The Philippines is such a family-oriented country that parents would go to great lengths just to provide for their children. This goes for gifts, food for the table, and education. Parents today know the value of education, and would make sacrifices just so their kids could graduate from a good school. This man is proof of how much a parent would go through just to provide for his son. Through his earnings as a tricycle driver, he sent his son, Marven Louie Badon Ragay, to the prestigious Medical School of Silliman University. Pa salamat kaayo sa imong pag-supporta nako. Ang imong abot sa pamasahero nakapalahutay nako sa pageskuwela. Congrats nimo! A pedicab driver with a son who is a medical doctor. You must be proud of me, father! Pa, thank you very much for your support. 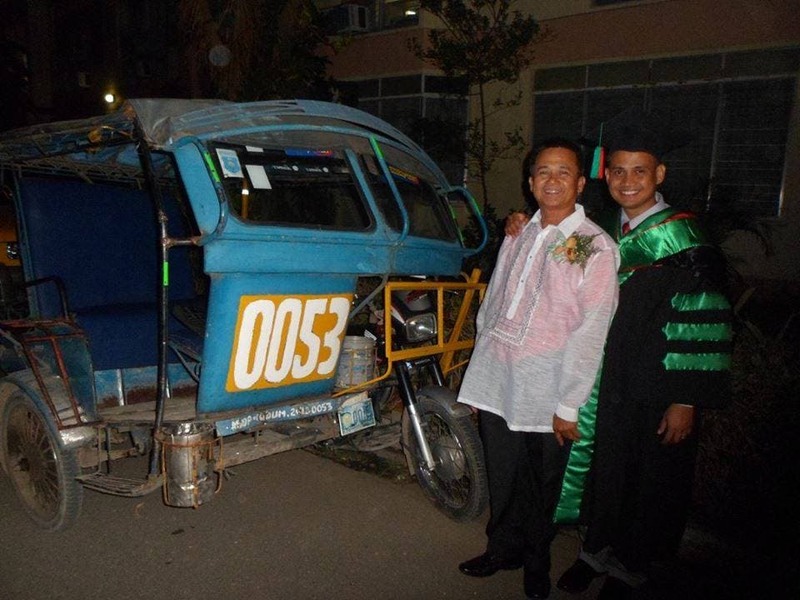 Your earnings from driving a pedicab helped me finish my education. Congratulations to you! A pedicab driver with a son who is a medical doctor. You must be proud of me, father! In Dumaguete City, where the father and son are based, a tricycle can seat up to six people, with each one paying P7.50 each. Most of the time, one trip only has one or two passengers, and there are hundreds of other tricycle drivers in the area. On a lucky day, a tricycle driver can earn P500 each day (roughly $12). On Silliman University’s official website, a student has to pay P56,262.15 (roughly $1,308) in order to enroll. So it’s truly inspiring that Marven’s father was able to send his son to medical school and get him to graduate. What do you think of this story? Share your thoughts below!